Back in the early 2000's I really got into all of Edgar Cayce's health tips. In those days I had free access to all of his 14,000 readings (Wow!!) (They still exist online, but now you have to pay) and would read through the various readings that were related to anything that any of my friends or family or I wanted to cure. The good old Castor Oil Packs came up in readings almost every time. When in doubt, do a Castor Oil Pack! It seems to help almost every ailment whether it's acute or whether you just want to have more energy and be healthier. Why use Castor Oil Packs? 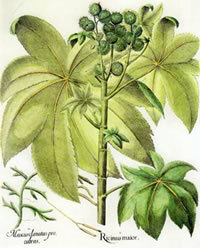 A castor oil pack is placed on the skin to increase circulation and to promote elimination and healing of the tissues and organs underneath the skin. It is used to stimulate the liver, relieve pain, increase lymphatic circulation, reduce inflammation, and improve digestion. 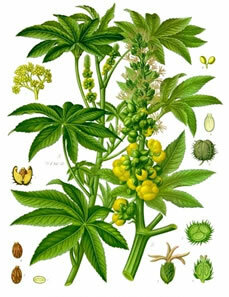 Castor oil packs are a traditional holistic treatment for a range of conditions, such as: cholecystitis (inflammation of the gall bladder), epilepsy, various liver conditions such as cirrhosis and torpid liver, scleroderma, headaches, appendicitis, arthritis, incoordination between assimilations and eliminations, colitis, intestinal disorders such as stricture and colon impaction, ulcers, incoordination between nervous systems, neuritis, toxemia, chronic fatigue syndrome, IBS, heavy menstruation, healing surgical or other wounds, fibromyalgia, acne, constipation, bone spurs, dissolve any sort of growth, lump, tumor or cyst (diseases caused by “Blood Stagnation in Traditional Chinese Medicine), psoriasis, gout, kidney stones, hypertension, high blood pressure and serves to relieve abdominal congestion due to sluggishness of the lymphatic circulation.And this list is by no means complete! 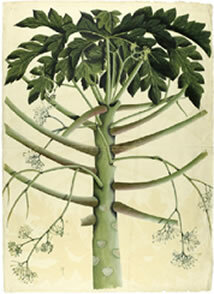 As you can see many bodily issues can be helped by using Castor Oil Packs. If you are cleansing using a castor oil pack for 1 hour every day for three days can really improve all the cleansing process. ~ Old clothes, big garbage bag and two old towels because castor oil stains! Place the flannel that’s been folded into three thicknesses in a large disposable baking pan. Pour the warmed up castor oil on it so that it is saturated, but not dripping. Place the oiled up flannel ‘pack’ over the affected body part. Place the plastic wrap or plastic bag on top of the pack, if using. Then place the hot water bottle or heating pad over the plastic wrap or pack.Place an old towel on top of everything just to keep it warm and contained. Lie down on your old sheet and just totally relax for one to one and a half hours. The heating pad or water bottle should keep the area warm. Don't let it get too hot or too cold. After removing the pack, cleanse the area with a solution of water with a little baking soda stirred in. Store the pack in a covered container or plastic bag in the refrigerator. Each pack may be reused many times, just add more castor oil. 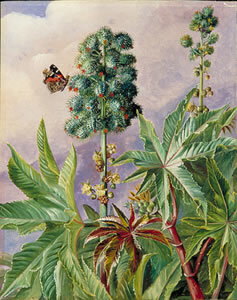 It is generally recommended that a castor oil pack be used for three days in a row and then four days off to treat a health condition or for detoxification. Edgar Cayce almost always prescribed taking 1 tablespoon of olive oil, internally, on the evening of the third day. Never ever take castor oil internally. Where to place your Castor Oil Pack? Usually the castor oil pack is placed on the right side of the abdomen to stimulate the liver; inflamed and swollen joints, bursitis, and muscle strains. Edgar Cayce recommended placing it right below the breastbone all the way down to 4 inches below the navel and then all the way over to your right side. If you are specifically trying to relieve constipation and other digestive disorders you can place it on the center of your abdomen. If your issues revolve around menstrual irregularities, uterine and ovarian cysts or bladder infections then move the pack to your lower abdomen. Of course, you can do one fairly big castor oil pack that covers all of the above, at once, which would be very efficient! Of course, if you're trying to get rid of warts you can just saturate a bandaid and some gauze in castor oil and apply it to the wart directly. Leave on for a few days - and change/add castor oil as required. If you have bone spurs on your feet apply directly to your feet. "Dr. McGarey is very humble in his statement, for he does present a plausible hypothesis relating to Edgar Cayce's suggestion that castor oil packs can strengthen the Peyer's Patches, which are tiny patches of lymphatic tissue in the mucosal surface of the small intestine. According to Cayce, the Peyer's Patches produce a substance which facilitates electrical contact between the autonomous and the cerebrospinal nervous system when it reaches those areas via the bloodstream. Dr. McGarey thus understands Cayce to say that the health of the entire nervous system is, to an extent, maintained through the substance produced by the Peyer's Patches when they are in good health. Although the Peyer's Patches were discovered in 1677, it is only recently that medical science has begun to recognize them as constituents of the body's immune system." The Best Links to Cleansing Information!